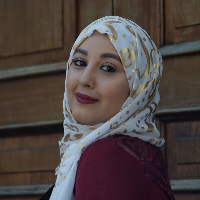 Hi, my name is Zamen Abo-Zebiba, and I am a Licensed Professional Counselor (LPC) and a Nationally Certified Counselor. My own cultural competency is built on a lifetime of international experiences. Growing up surrounded by cultures different from my own, I was encouraged to identify and value both the commonalities and differences of the human experience. Exposure to diverse peoples was instrumental in shaping my worldview and values. My awareness and appreciation of cross-cultural understanding grows continually. I highly respect and value individuals who come from different cultural backgrounds and faiths. I feel strongly about helping people who don’t have a voice. I want to be an advocate and pursue a role that will allow me to help as many people as I can. I chose this profession because I feel passionate about it. Not many people are fortunate enough to find a job or a career that they feel so passionately about and I am thankful for that. I have a speciality training in Cognitive Behavioral Therapy (CBT). I utilize CBT as my primary theoretical orientation because I find it to be helpful with many different populations. I like that CBT is a collaboration between client and therapist and that they work together to problem-solve and there is an emphasis on treatment goals. I also have extensive training in a range of modalities which include Dialectical Behavioral Therapy (DBT) for emotional dysregulation as well as other mindfulness based therapies. I believe that it is very important for clients to be aware of their emotions and to be able to have that sense of control back. Other areas of specialty include trauma, anxiety, depression, substance abuse, self-esteem, and relationships. Individuals need to be in an environment where they feel safe, accepted, and not judged and this is what I provide. You have already made the first step, and I would welcome the opportunity to help you in that journey. She has been extremely helpful in seeing mistakes and patterns I make myself go through. Always courteous and attentive to what I’m saying. I appreciate the time she takes to listen to how I feel. I'm really glad that I took the opportunity to talk with Zamen! She is an excellent counselor. The whole time she was supportive, helpful, and intuitive. I feel I gained some wisdom and advice that I can certainly use-both now and in the future. She encouraged personal growth on many levels and was a considerate ally on my journey of change. Would you like to write a review for Zamen Abo-Zebiba? We'd appreciate if you can spend a couple of minutes to write a short review for Zamen Abo-Zebiba (M.S., NCC, LPC). This review would be shared with Zamen Abo-Zebiba. It may also be posted in our website or in Zamen Abo-Zebiba's profile but it would be anonymous and your identity would be kept completely confidential.